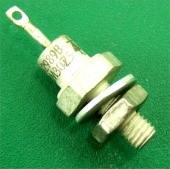 Exact replacement 600 Bridged T attenuator, for all UA and UREI black face versions of the 1176LN. 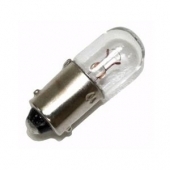 Two #1819 Replacement Lamps For UREI Black Face 1176LN, LA-3A, Other Models. "New replacement knobs for Teletronix UREI UA LA-2A, 1/4" shaft"
Exact replacement 25k linear taper pot, with double pole switch. 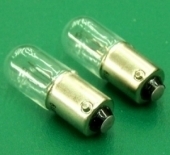 Two exact replacement input / output knobs, with white line on the clear skirt. 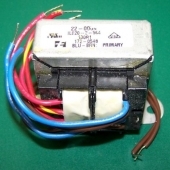 Output Transformer For UREI Rev A-E 1176LN, All UA 1176LN And UA 1108 Preamp. Replacement square panel mount fuseholder with front cap for UREI 1178, silver face 1176LN, 545, 546, and other silver face models. NOS A-B Military Type 1 Meg GR Zero Adjust Locking Pot For All UREI UA LA-2A. 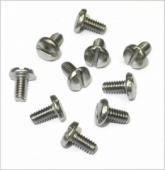 "10 Exact Replacement 5-40 1/4"" Binding Head Barrier (Terminal) Strip Screws for all UREI Models"
PEC 10K Audio Taper Pot For Silver Face UREI 1176LN, 1178, DIY, Other Gear. 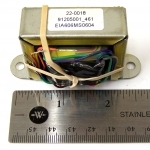 New replacement power transformer, as used in all versions of the UREI and UA black face and silver face limiters. 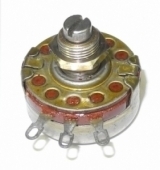 New replacement power and VU meter select switch assembly for all UREI and UA 1176LN models. Lot Of TWO 1/4" New Replacement Inner Concentric Knobs for UREI LA-4, 1620 EQ. 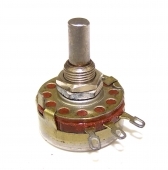 New replacement ratio select switch assembly for all UREI and UA 1176LN models. 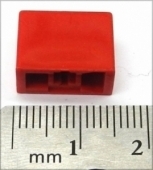 New replacement VU Meter for all versions of the Teletronix, UREI, and UA LA-2A. The meter is not illuminated. A VU meter bezel and mounting hardware is included. Set of two exact replacement Gain and Peak Reduction knobs for all UREI and UA LA-3A compressors, perfect condition. Audio & Meter FET kit for all UREI UA Black And Silver Face 1176LN. 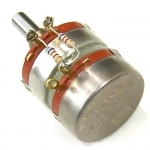 This is a new 1k (1000 ohm) audio taper pot to replace the input level control in the UREI 1178 and the early UA 1176LN Reissue Etc. Original Modutec VU Meter For All UA UREI 1176LN LA-3A LA-4 Blackface Models. 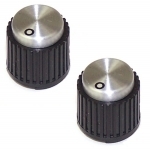 This is a set of 2 exact replacement outer concentric knobs for the UREI LA-4. 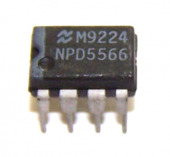 Exact replacement NPD 5566 Dual FET for UREI 1178 Limiter. Used, refurbished VU Meter for the UREI silverface 1176LN, LA-4, and 1178. 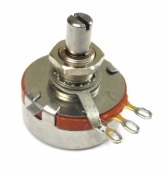 Exact replacement 250k zero adjust pot for the gain reduction metering circuit in the LA-3A.